Find a Hypnotist for hire near you in minutes! Option 1. Enter your event location below & contact a Hypnotist directly! Option 2. Request multiple quotes from available Hypnotists Get Quotes! Option 3. Read information & advice on hiring Hypnotists Read Advice! WANT TO KNOW MORE ABOUT HYPNOTISTS? Read on for the most comprehensive guide to booking a Hypnotists, including how much a Hypnotist costs, exactly what they will do at your event, plus tips, advice and information to help make your event one to remember! A contemporary Hypnotiser will have your guests in fits of giggles, and genuinely spellbound at an age old art form that has to be seen to be believed! What exactly will a Hypnotist do at your event? ‘You are feeling very sleepy!’ or ‘Look into my eyes!’ Both are phrases commonly used by Hypnotists the world over that you may recognise! Hiring a Hypnotist to perform at your event is so popular because they offer a unique experience that really resonates with the public. Also, a Hypnotist will incorporate the public too, so everybody has the chance to get involved in the entertainment! The art of Hypnotising is a curious mixture of light entertainment, the power of subliminal messages and the human psyche, all wrapped up with great comic outcomes! When you think of famous Hypnotists. you may think of Paul McKenna, who is famed the world over for his powers of hypnosis and his often hilarious stage shows and television performances. You may also think of Derren Brown, who, by using powerful, persuasive techniques, can make his audience members perform a dazzling array of stunts. This includes unlocking mind-reading powers the audience didn’t even know they had! All of the Hypnotists signed up to our directory will be professionally trained so let it be known that stage hypnosis is completely safe! Mainly, a Hypnotist will entertain your audience with a fantastic live show that will put the wow factor into celebrations and impress your guests, whatever their entertainment tastes may be. What event types are Hypnotists hired for? 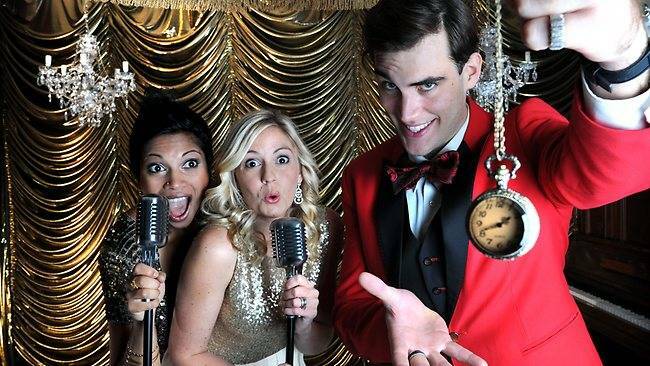 A Hypnotist can totally electrify the evening’s entertainment at your wedding! 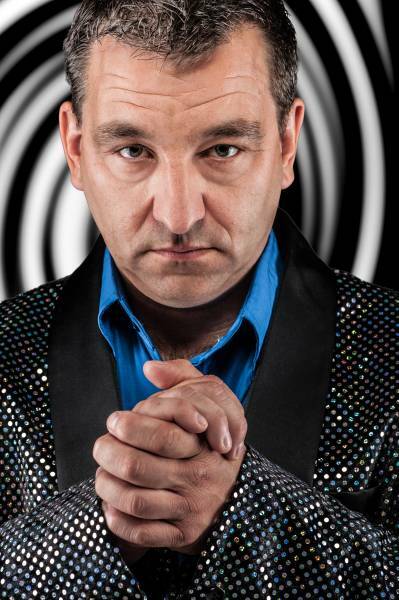 The hired Hypnotist will use rehearsed and professional persuasive suggestions to hypnotise family and friends into performing brilliant, laugh-out-loud moments live on stage! By using a trigger-word, the Hypnotist may do such things as making your uncle temporarily believe he is a clucking chicken! (And what could be more fun than that?!) The Hypnotist will ensure that the audience are the stars of the show, and remember, all the professional shows are totally ethical and safe, so just relax…and ‘look into my eyes’! What could be a better ice-breaker than hiring a Hypnotist for your corporate event?! The great thing about booking a professional Hypnotiser for a work function is that they make for fabulous conversation! Imagine the talks in work the next day as you discuss how Mike from accounts thought he was Liza Minelli! To how the Hypnotist guessed the picture that was drawn by Anne the area manager?! 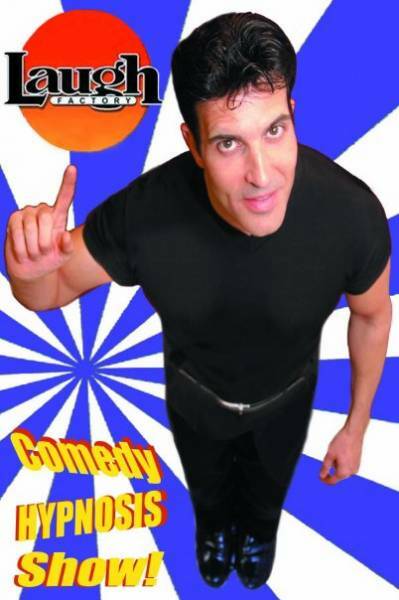 Because of the all round entertainment that Hypnotists offer, when you hire a Hypnotist you are not just getting powerful mind trickery, you are also getting the same level of hilarity that you would be getting if you hired a comedian! Other great corporate functions a Hypnotist can work their magic at would be events such as a gala dinner or a work Christmas party! An evening spent with a Hypnosis is often said to be a very relaxing and amusing time that leaves your audience feeling mellow and cheerful! Have you ever thought about hiring a Hypnotist to entertain the guests at your birthday party? What a great way to ensure your guests mix and mingle with each other! Your family and friends will love the rarity in your choice of entertainment and it will be a real talking point! This is especially fantastic for certain audience members that like to roll their sleeves up and get involved in the entertainment! A Hypnotist can do anything from making your guest forget their own name, to fooling an audience member to thinking they were 5 years old! (All done on a momentarily basis!) You may even be able to request the Hypnotist plays a specific trick on a certain family member or friend! How much do Hypnotists cost to hire? Our simple to use entertainment directory allows you to firstly search for the best Hypnotists who are local (or travel to your area) and then via the contact form you may message them directly to enquire for a no obligation quote to perform at your event. Some acts will also add a rough price guide to their profile for your convenience. What are the usual set formats and performance lengths for Hypnotists? A Hypnotist can tailor their performance to times to suit you and your event, and more often that not, the Hypnotists listed on out site will offer different packages at varying times and prices. However, on average, a professional Hypnotiser will perform for 60 minutes. How much space will a Hypnotist need at your event? A hired Hypnotist will usually require a fair sized stage to perform their hypnosis comfortably on the willing crowd. Also, please note than many Hypnotists will have different shows that may require varying needs when it comes to the space needed. With this in mind, may we suggest that you message the Hypnotist using our personal messaging service to enquire. What equipment and set up requirements do Hypnotists need? As with most artists who sign up to Entertainersworldwide.com, a Hypnotist should provide all of their own equipment. You may want to enquire if an artist needs a PA to amplify their sound, in which case we would advise to use our easy to use messaging service to find out. We do ask that each performer gets a backstage area in which they can prepare for the performance ahead. If your venue does not have a backstage area, then we kindly ask that you enquire with the venue to seek an alternative space in which the performer can comfortably get ready to entertain. How can you find and book a Hypnotist with Entertainersworldwide.com?